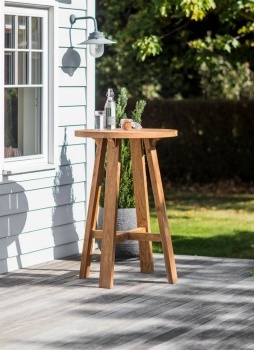 Be prepared for brunches on the patio or cocktails in the courtyard with the St Mawes Round Bar Table. Crafted in exquisite Reclaimed Teak, each piece is carefully selected by hand adding to its natural aesthetic. The elegant and simple design mixed with sturdy legs makes for a stable outdoor bar table.